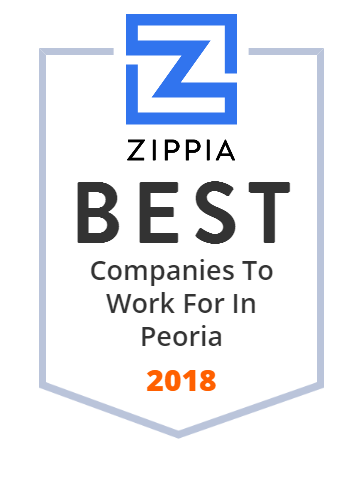 We hand-curated a list of the best companies to work for headquartered in and around Peoria, AZ using data on salaries, company financial health, and employee diversity. The official website for the City of Peoria Arizona features city news, upcoming events, online bill payment, issue reporting, and more. Larry H. Miller Toyota Peoria provides high quality services to dedicated Arizona clients. They provide Toyota auto repair services that are performed by expert mechanics. They also sell OEM Toyota auto parts. You can also benefit from their car loans. They are located at 8425 West Bell Road, Peoria, AZ 85382. Nasseo, Inc. is a medical device company that has developed a proprietary implant surface modification technology to create the next generation of dental and orthopedic implants. Nasseo's groundbreaking platform technology directly alters the natural oxide layer of the implant surface at the molecular level to create uniform and patterned structures that enhance implant performance and is not a coating. Liberty GMC is a Phoenix Metro area GMC & used truck & car dealer near Scottsdale & Glendale, AZ. Located in Peoria, AZ, we have all the latest GMC models, Commercial & Fleet trucks & vans. We provide auto service, parts, auto financing & leasing. Support, news, communication ideas, best practices, and more from the SoChurch team. Church communication made simple. RighBio Metrics was founded by physicians in gastroenterology and emergency medicine. RighBio Metrics addresses a very serious problem in healthcare. They accurately measure bio fluids to enhance the speed and quality of medical treatment without incurring substantial costs. They have CLIA waived products that use pH for confirming gastric acidity for tubes intended to end in the stomach. Aces is a state-certified special education school that provides excellent academic programs for kindergarten through twelfth grade special needs students. This reputable institution provides unique instruction opportunity on campuses in Peoria, Tempe, Arizona, and West Phoenix areas. CJS Enterprises, previously known as Curtis Jones & Sons Construction, Inc., was founded in 1962. A company that began as a one person concrete construction operation by Curtis Jones has become one of the most reputable businesses in the community. This company concentrates on improving residential housing and commercial establishments. CJS Iron Works was also established to design and manufacture architectural metals for masonry works. Whether you're looking to buy a pre-owned car or a brand new one, the friendly staff members of Liberty Buick are ready to provide you with excellent purchase and ownership experience. The company is committed to providing customized services to clients in the Arizona area.